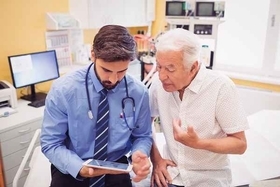 Congress' budget deal that passed late last week included several changes to the Medicare Shared Savings Program that experts say will motivate beneficiaries to be more engaged in their care. The bill, signed by President Donald Trump on Friday, establishes the ACO Beneficiary Incentive Program, which would allow accountable care organizations to pay patients if they make primary-care appointments. The budget agreement also will allow beneficiaries to assign a physician in an ACO as their primary-care provider. Experts say these provisions will encourage beneficiaries to be more proactive about their health. "The changes we are seeing with the budget are focused on increasing beneficiary engagement with the ACO, which is going to encourage beneficiaries to maintain an ongoing relationship with their primary-care provider as well as reinforces the ACO's role of collectively working with beneficiaries to make sure they are receiving the necessary care throughout the year," said Allison Brennan, vice president of policy at the National Association of ACOs. The ACO Beneficiary Incentive Program established is similar to the Coordinated Care Reward offered to beneficiaries who receive services from Next Generation ACOs. Under that program, the CMS gives a $25 check to Medicare patients who get an annual wellness visit. Brennan said she's heard anecdotally from ACOs that the program has motivated some patients to get their annual wellness visit, but the association hasn't surveyed members on the impact. The newly created ACO Beneficiary Incentive Program is voluntary and differs from the Coordinated Care Reward because the ACO has to give the patients the payment, which can be up to $20. It is also limited to ACOs in two-sided risk tracks, which is an encouraging sign that both Congress and the CMS agree that ACOs need to move to downside risk contracts, said Chris Dawe, vice president of Evolent Health. Brennan said the fact that the CMS doesn't make the payments to the patients could be a barrier to ACOs participating in the program. "They (ACOs) have to consider whether or not they want to make that investment," she said. The provision that allows beneficiaries to select a primary-care provider in an ACO will likely increase the opportunity for greater care coordination, Brennan said. An ACO will be able to better understand before the performance year begins which patients are in its population, offering more opportunities to engage with patients on prevention and wellness initiatives. "It's good for the beneficiary and the ACO. It reinforces the relationship," she said. "The ACO can follow patients throughout the course of the year—you can better manage them."